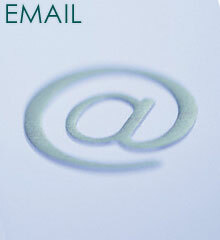 Most of our correspondence with you will be via email. No phone tag, no voice mail messages to leave or retrieve. Simple follow up and information in writing.